We start off with dry conditions Thursday with clouds mixing in with the sun. 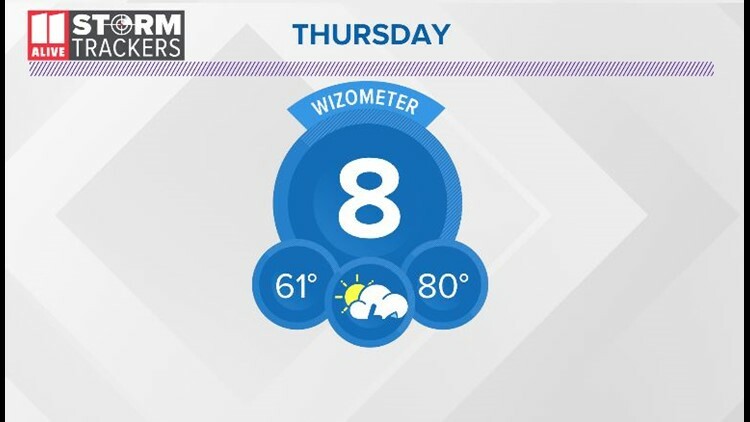 It will be dry during the daytime hours Thursday. 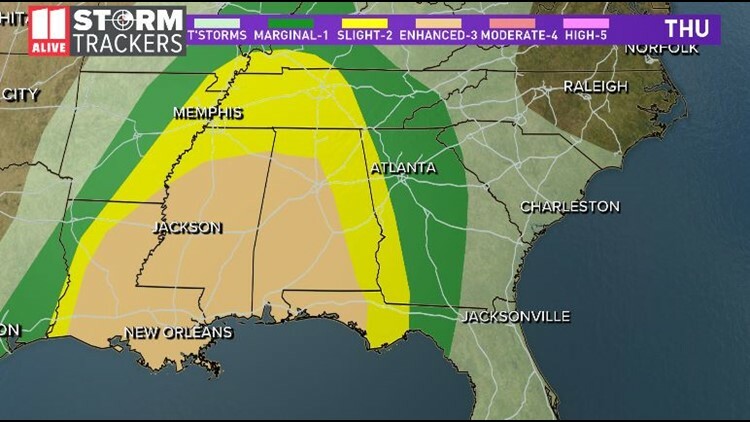 We will be watching a storm to our west that will bring severe thunderstorms into Georgia late Thursday night. Those storms enter NW Georgia around midnight, then travel eastward closer to Atlanta by 2 to 4am. They continue moving eastward between 4-6am. As the storms move east, a few showers will linger in the area through the rest of the morning until around lunchtime. Those lingering showers shift eastward after lunch. Skies will clear out and cool down for the start of Easter weekend. Sunday looks cool to start with temps in the upper 40s. By the afternoon on Easter we will warm into the mid-70s under mostly sunny skies!